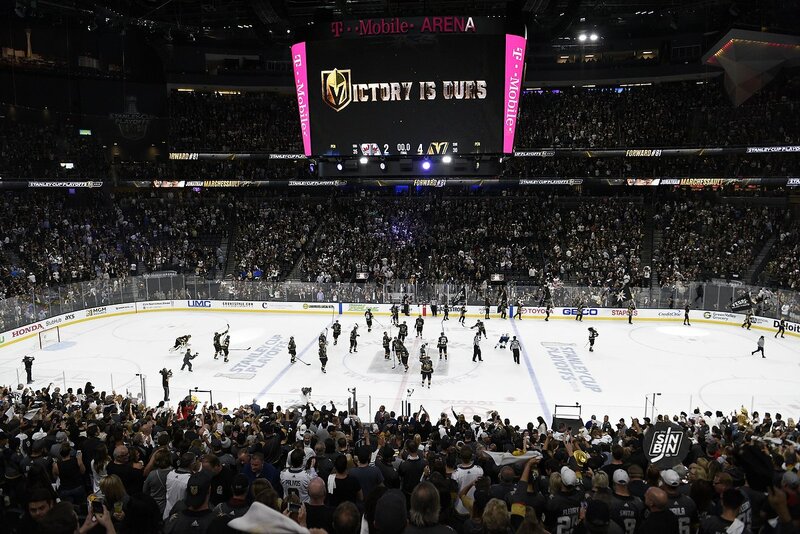 The word of the day in the Golden Knights locker room was “doubt.” It’s a word that’s all too familiar to expansion team who now finds itself in a 3-1 hole in the Stanley Cup Finals. They’ve been doubted every step of the way, and now they hear the doubt from the outside creeping back up, maybe as strong as it ever has, and they are ready to relish the opportunity like they have before. They’ve never been down 3-1 in a series. They’ve tied their longest losing streak of the year. They are facing a climb no team has successfully made since the 1942 Toronto Maple Leafs. Quite simply, they’ve never been here before, but in a way, it kind of feels like they have. What they’ve done all year is win. At every pass, they’ve proven the doubters wrong and found a way. Now, down 3-1, they’ll look to do it again; all the while trying to do the only thing they really set out to do in the first place. This is new for the Golden Knights, but so has been everything this year, and every step of the way the odds seemed to be against them. At every pass they’ve proven people wrong and made the city proud, why stop now? Time to take care of the Great 8 with our very own #28, sorry Reaves! Of every team I’ve ever followed across every sport I have ever cared about, I have never found myself with so much faith in a team that is facing such big odds. I truly feel like we are on the cusp of greatness rather than the brink of elimination. Knight up and go grab 3 wins and raise that cup, it’s there for the taking.